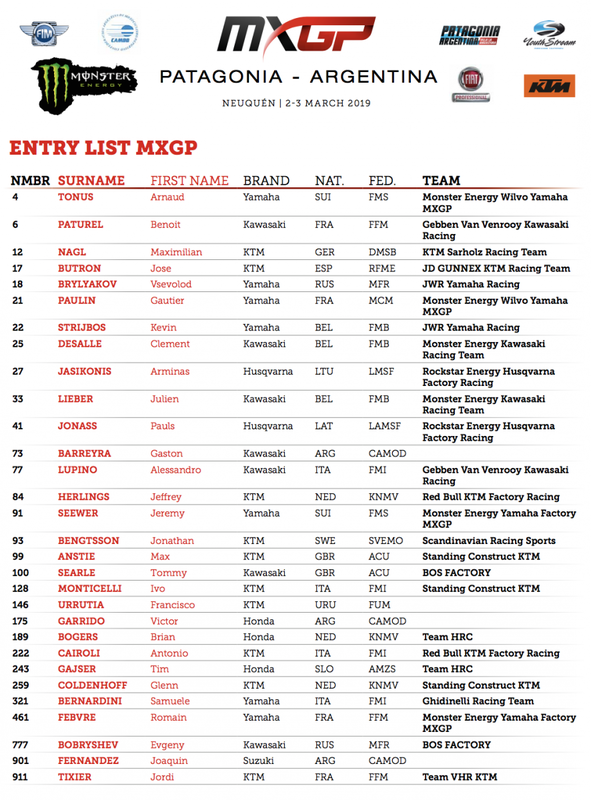 Youthstream is excited to announce the official entry lists for the opening round of the 2019 FIM Motocross World Championship taking place at the Neuquen circuit in Patagonia-Argentina this 2nd and 3rd of March. The MXGP of Patagonia-Argentina has made itself one of the most liked stops on the calendar since 2015 by both riders and industry members. The 2019 entry list showcases an impressive line up with the best riders in the world. The combination of an amazing venue, stacked competition, and it being the first round of the season will leave all eyes watching in anticipation of the amazing racing which will surely be produced. While the inaugural race in 2015 was won by KTM Sarholz Racing Team’s Max Nagl the following two years were taken by the 2016 MXGP World Champion Tim Gajser, but last year an amazing comeback from Red Bull KTM Factory Racing’s Jeffrey Herlings set a tone for the remainder of his championship winning season against fellow Red Bull KTM Factory Racing rider Antonio Cairoli. 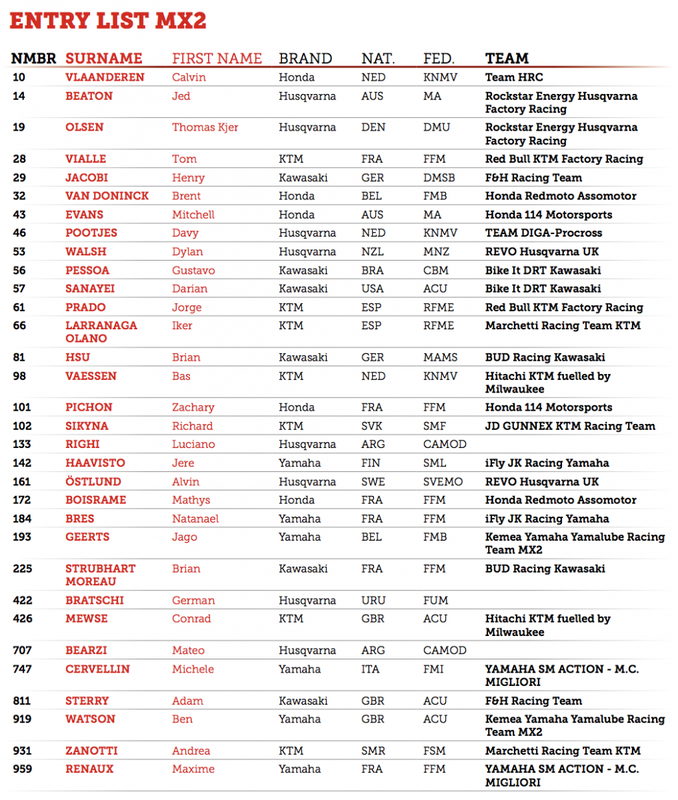 Aside from the veterans of MXGP newcomers to the class are also on the entry list such as 2017 MX2 World Champion, Rockstar Energy Husqvarna Factory Racing’s Pauls Jonass, JWR Yamaha Racing’s Vsevolod Brylyakov, and more. Click HERE to download the MXGP and MX2 Entry lists for the MXGP of Patagonia – Argentina.